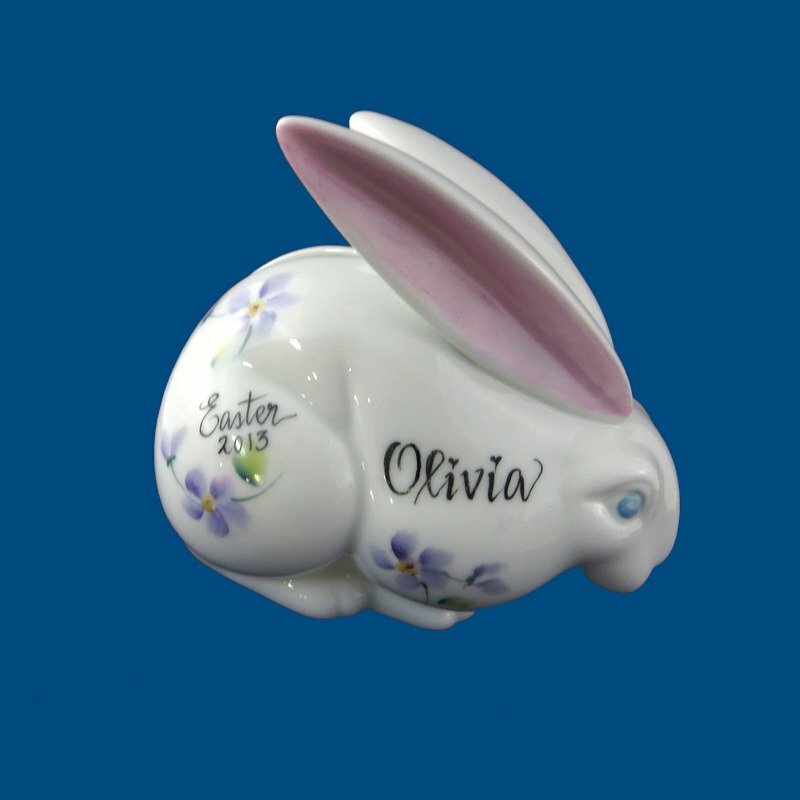 Our adorable porcelain bunny bank is the perfect gift for new baby or makes a special Easter gift! The bank can be painted with pink, lavender or blue flowers along with a name personalized on the front. If given for Easter, we can also hand paint Easter 2019 on the bunny's body. A short inscription is monogrammed on the back of the bank. A rubber stopper on the bottom allows for easy access to money. A gift box with tulle ribbon is complimentary with this purchase.